Defined by a refreshing dose of local color. In the walkable central business district of downtown Indianapolis. 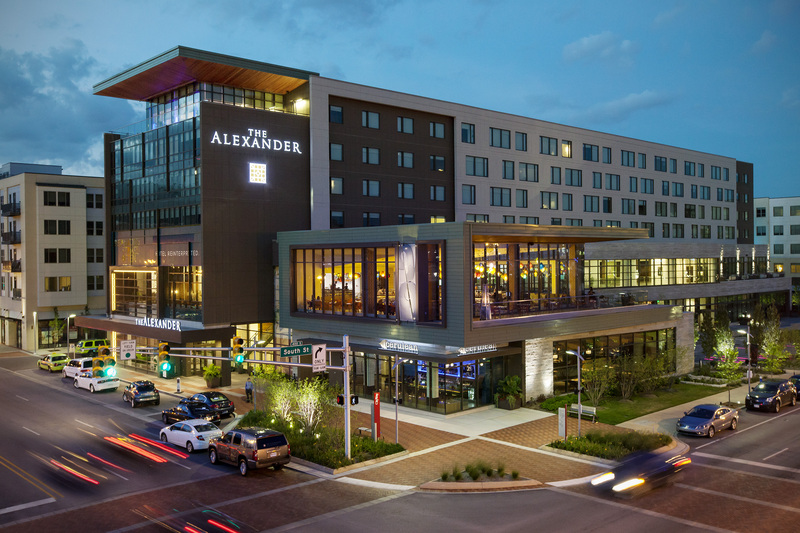 The Alexander features outstanding business amenities, luxury accommodations and an enchanting emphasis on art and design. All graced with the touch and class of a boutique. Yet executed with the size and staff of a world-class hotel. Guests can take advantage of a fitness center, multiple restaurants and 16,500 square feet of indoor/outdoor event space.